In conjunction with the release of her book, Improv Patchwork: Dynamic Quilts Made with Line & Shape, Maria Shell's exhibition at the Hello Stitch Gallery displays new works featured in the book. Limiting the structure of her work to a grid allows Maria to dive deep into her love of color. In her quest to discover what makes color vibrate, she explores the proportion of line and shape. She believes that all colors are dynamic, fickle, explosive, solemn, mysterious, and beautiful, and her work examines how color is capable of being all these things for the viewer. Learn more about the artist, Maria Shell. 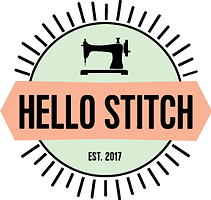 Hello Stitch Studio 2018. Simple theme. Powered by Blogger.